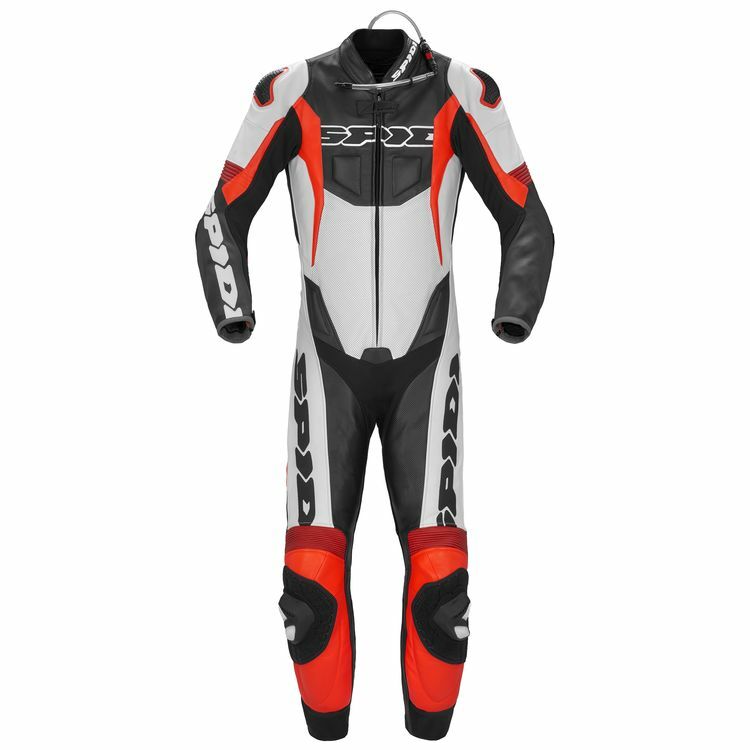 Hot weather track days are a literal breeze with the Spidi Sport Warrior Pro Perforated Race Suit. Perforated cowhide flows air at speed to keep you cooler and dryer than a solid non-perforated suit. A removable mesh liner lets you wash the interior to keep it fresh. Accordion stretch panels at critical zones let you maneuver into the tuck position without binding. Spidi includes CE rated armor at the elbows, shoulders and hips. Add in an optional back and chest protector to complete track impact protection. The speed hump is prepared for a hydration system to stave off dry-mouth during scorching track days. The Spidi Sport Warrior Pro Perforated Race Suit gives you the hot weather features to dominate summer time track days.